Appreciating the simple things in nature can bring joy if you open your heart and mind. It can help heal your soul so you can share your joy with others too. Lookup on a cloudy day and you just might see a rainbow. Take a deep breath after the rain clears the air. Enjoy the silence after the snow falls. Listen to the birds chirping early in the morning. I know if you try you can find something that will bring you joy. Yet, as an adult, I too have been guilty of forgetting the “glad texts.” Maybe, it is time to look them up again. 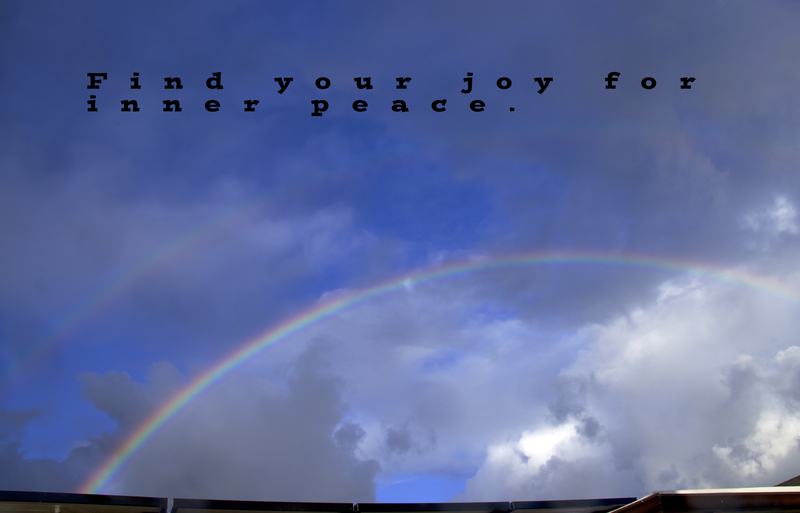 That is why my focus for this month’s peace challenge is joy. Hugs to you too Kozo. Mahalo for all you do to bring peace to this planet.